Just for fun, check out this unbelievable pumpkin carving that was done using the world's largest pumpkin. Ray Villafane crafts intricate designs from pumpkins, some of which are alarmingly realistic. 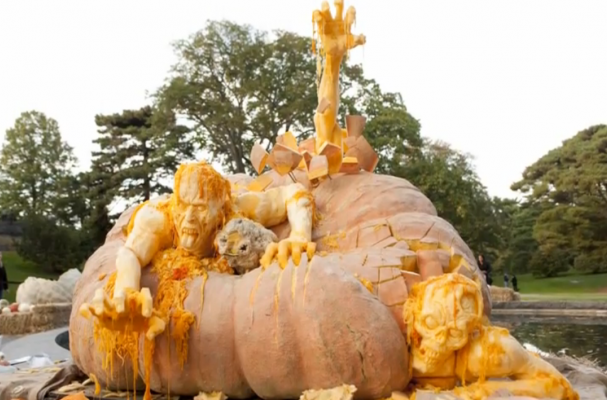 Using two pumpkins, including the 1,818.5 pound world record holder as the base, Villafane created this zombie scene at the New York Botanical Garden. Check out the beautiful time-lapse video below and Happy Halloween!